This first installment with Dr. Sarit Lesser, PsyD and Jane Hesser, LICSW investigates how women can care for their mental and emotional well-being throughout pregnancy and postpartum. 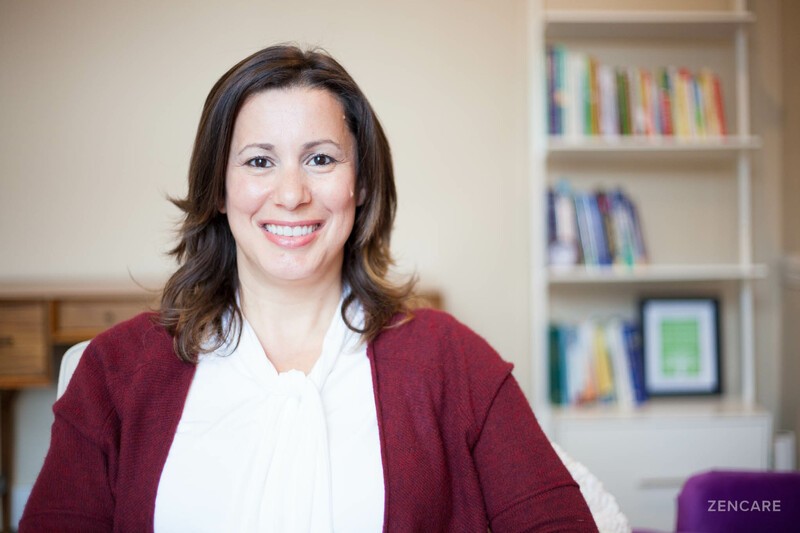 Dr. Sarit Lesser, PsyD is a psychologist in Providence, RI specializing in seeing both new mothers and college students. 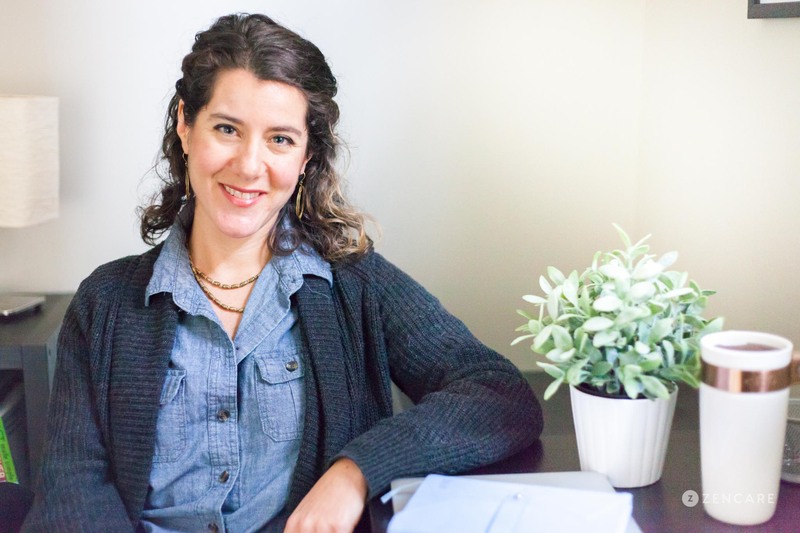 She conducted research on new mothers and motherhood during her studies, and is passionate about working with mothers and parents throughout their pregnancy and postpartum periods. What does it mean for women to "become mothers"? “Becoming a mother” entails a change in women’s biopsychosocial self-definition, an identity change that encompasses physical, cognitive, and emotional functioning, personality, relationships, occupation, and social roles. Caregiving is not a quality one is born with, but rather, an identity shift that entails learning new skills that result in making new commitments. – a process not without substantial challenges. Can you tell us about your research? What did you find out about new motherhood? I looked at the development of maternal identity by recognizing mothers’ subjective experiences, and found that this new stage in a woman’s development involves profound psychological changes and identity shifts. When a woman first becomes a mother, she holds certain internal scripts about what this new role entails – about what makes a “good mother,” her own personal characteristics and ways of relating to others, society’s expectations of her, and cultural norms about motherhood. Naturally, these beliefs often do not match with the realities of motherhood, and the women I interviewed struggled to negotiate a pathway to their maternal identity. Whether these tensions were emotional, physical, relational, individual, or systemic, they were fundamental to the identity shift of becoming a mother. What support services do you recommend to new mothers? Research shows that the support of a female labor companion (doula) has significant obstetric and perinatal benefits. A doula usually serves as a coach who believes in the woman’s capacity to give birth. Women who have a doula by their side have fewer cesarean and forceps deliveries. Doula-supported mothers also rate childbirth as less difficult and painful than women who were not supported by a doula. Mothers also report reductions in anxiety and positive feelings about the birth experience. Later postpartum benefits include decreased symptoms of depression, improved self-esteem, and increased rates of breastfeeding–all factors that can strengthen the attachment between mother and baby. You are not alone! You are not the only mother who feels lonely, sad, or confused. In fact, it is more common than you might think, and – and this is the most important part – it is normal! It’s a learning process, in which a woman gradually develops a connection and a relationship with her baby and undergoes a qualitative shift in her perception of herself, her baby, and the world. This process begins with examining existing beliefs and ends with her finding new meanings and commitments. Overall, this process involves structural changes of roles, relationships, personal competencies, and learning new skills. Jane Hesser, LICSW is an expert in mental and emotional care for women with particular expertise in prenatal and postpartum depression and anxiety (including OCD) and adjustment to motherhood. She enjoys working with women who are trying to conceive, adopt, or transition to motherhood. What are common mood challenges that women who are pregnant or who have recently given birth might experience? Becoming a mother is both wonderful and challenging. Women experience a major shakeup in our daily lives, relationships, and personal identities. We gain a lot and yet we lose things as well. We expect so much of ourselves and others expect so much of us. This all happens when everything is well. In addition to the typical adjustment most women experience, perinatal mood and anxiety disorders (PMADs) are the most common complications of pregnancy and new motherhood, impacting 1 in 7 women. Symptoms often begin in pregnancy and getting help early is very important. I recommend that women seek support that really FEELS supportive from people well-trained to help, in addition to support from friends and family. Lactation consultants can be very helpful for women who desire to nurse and are struggling. Finding a doula who shares your values and is a good personality fit can be a wonderful support both in labor and postpartum. When women are experiencing emotional distress in pregnancy or postpartum, finding a therapist or psychiatrist with solid experience and training in identifying and treating PMADs is very important. Connecting with other mothers who have experienced PMADs can also be a wonderful support. There is typically a very wide range of emotions that new mothers experience in spite of the expectation that this will be “the happiest time of their lives.” You are not alone and regardless of how it may look from the outside: everyone needs help.